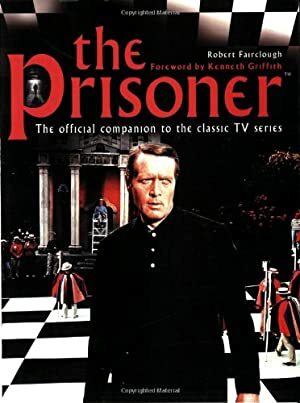 The Prisoner was a landmark 1967-1968 TV series. Though it drew many themes from espionage and intrigue it was a cryptic, almost surreal work about freedom, courage and other themes. Since the work was seminal, many of its breakthroughs have since been digested by other fictions (and arguably by reality). The protagonist’s name is never given. 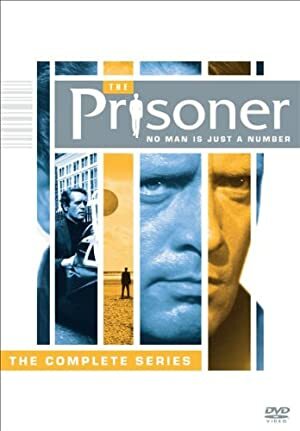 He has been called “the Prisoner” based upon the show’s title and plot. He’s often designated by the code “Number Six”. The episode order used in History section is based on the DVDs’ episode order, since it was the source material I reviewed for this profile. There have been other episode orders suggested, though the exact order is not essential to the series except for the first and the two last episodes. This entry is continued in part #2 of our Prisoner character profile. Real Name: Unrevealed (Code names during his career included Duval, Schmitt, and Zed.M.73). Known Relatives: Janet Portland (fiancée). Group Affiliation: None currently, formerly British Intelligence. Height: 6’2” Age: 39 during his stay in the Village. 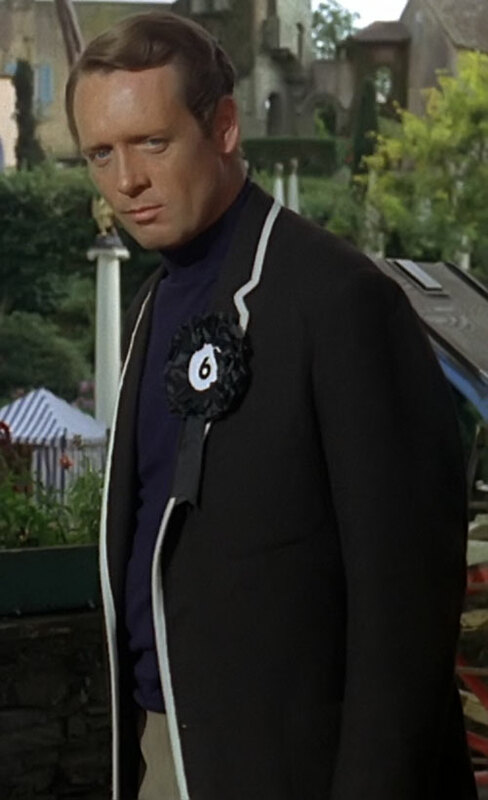 The Prisoner was an athletic individual who had competed in the Olympics in boxing and fencing (“The Schizoid Man”). He was also keenly intelligent and well-educated in the necessities of spy craft, including some more esoteric disciplines such as hypnosis (“A Change of Mind”). His perceptive abilities often helped him undo various Village schemes by virtue of noticing the smallest clues and recognizing their significance. He was highly knowledgeable regarding seamanship, even building a makeshift raft on two occasions (“The Chimes of Big Ben”, “Many Happy Returns”) and his own Triquetrum (alternate version of “The Chimes of Big Ben”). His intellectual flexibility was matched by his great willpower. In the end the combination of these qualities finally allowed him to escape the Village, at least in the literal sense of not the figurative one (see History for more). Prior to his capture and incarceration in the Village, the man who would become known as the Prisoner a.k.a. No. 6 was a British secret agent with a distinguished career. The Prisoner woke up in a villa that resembled his old London home from the inside. Outside was the Village, which appeared to be a bucolic seaside resort town. He met with a man called No. 2, who was in charge of the Village. No. 2 referred to the Prisoner as No. 6. He had extensive files on the Prisoner, including childhood details and photos and surveillance pictures taken during some of the Prisoner’s intelligence assignments. No. 2 explained that there was a great deal of concern over the reason for the Prisoner’s resignation. He said that “Number Six” would be free to go once he explained himself. He refused to divulge his reasons, considering them a personal matter. The Prisoner eventually tired of being interrogated and tried to escape twice. The first escape attempt was stymied by the odd guardian of the Village known as Rover. Rover was an amorphous white mass that chased and enveloped escapees, rendering them unconscious or dead depending on its orders. 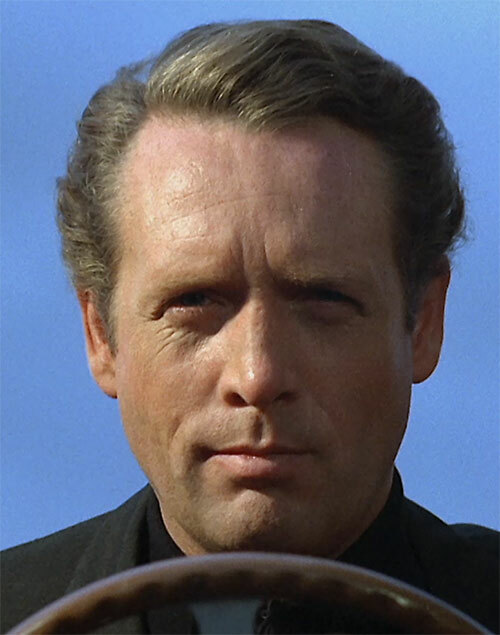 The second time the Prisoner tried to commandeer a helicopter, which was brought back to the Village by remote control. In a final discussion between the current and a newly arriving No. 2 outside of the Prisoner’s hearing, it was revealed that while discovery of the reasons behind the Prisoner’s resignation were important, the ultimate goal was to convert him. This desire for conversion was the reason no extreme methods were to be applied…at first (“Arrival”). A new No. 2 took over. He offered No. 6 the opportunity to meet No. 1 by running for election to No. 2’s office. After considerable resistance the Prisoner was brainwashed into cooperating with the election. Even then, it was a farce, meant to show the Prisoner that he would be powerless against the Village even when in a position of ostensible authority. It also demonstrated to him some of the many means that could be used to break him (“Free for All”). One night, while the Prisoner was prowling the outskirts of the village, he found a body of a sailor that had washed up on shore. He took a radio from the body, hoping to get some information about the Village’s location from outside broadcasts. The Prisoner also ran into an old friend that night, a man named Roland Walter Dutton. Dutton had been brought to the Village a considerable time before the recently arrived Prisoner. The Prisoner inadvertently discovered that a termination order had been approved for Dutton. Before he could act on this information, the Prisoner was placed on trial for the possession of the radio. The Prisoner called Dutton as a character witness, hoping to give Dutton one last chance to speak his mind. But Dutton had already snapped under the stress. The judges sentenced the Prisoner to death and he fled before a ravening mob. The latest No. 2 finally caught up with him. He told No. 6 that the dead sailor’s body would be sent back out to sea with the Prisoner’s ID so that he would be dead to the world. No. 2 added that this would also suffice as his sentence of death from the Village trial as well. In the end, the whole incident was just another way of encouraging the Prisoner to conform to the Village’s values and to accept the Village as his new world (“Dance of the Dead”). The Prisoner’s next plan to escape hinged on his ability to tell the difference between other prisoners and Village agents disguised as prisoners. He picked up on the subconscious arrogance of the disguised guardians. From there, No/ 6 selected other actual prisoners that he could trust to assist him. The plan failed when the Prisoner was betrayed by his associates. 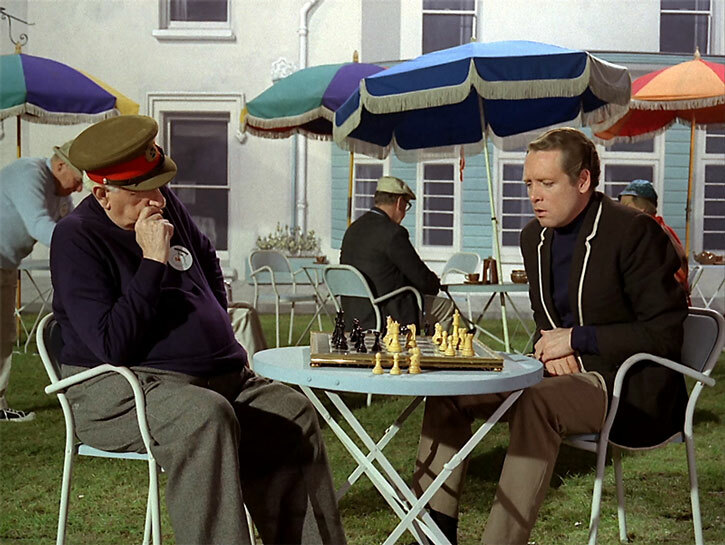 They agreed with his reasoning and subsequently mistook the Prisoner’s own arrogance as a sign that he was a guardian who was testing them (“Checkmate”). Soon afterward the Prisoner met a Russian agent named Nadia, who had just been brought to the Village to extract the secrets she held. Witnessing a brutal interrogation of Nadia, the Prisoner agreed to participate in the Village Arts and Crafts Exhibition (a social activity which No. 2 hoped would contribute to the long-term process of assimilating the Prisoner into Village society). However, the Prisoner used the exhibition as a ruse to construct a set of items that were later assembled into a makeshift raft. The Prisoner and Nadia escaped on the raft. They they made their way to London, being shipped in a crate by airmail on the latter leg of the trip. Arriving in his old superior’s office, the Prisoner explained where he had been since he disappeared. Pressed to discuss why he had left in the first place, he began to discuss the reasons for his resignation. Then a telltale clue alerted the Prisoner that all was not what it appeared to be. He quickly discovered that he had not been shipped to London but rather back to the Village, and that Nadia was a Village agent (“The Chimes of Big Ben”). The next No. 2 proceeded on the assumption that the Prisoner had resigned in order to defect, perhaps selling some vital information on the open market. 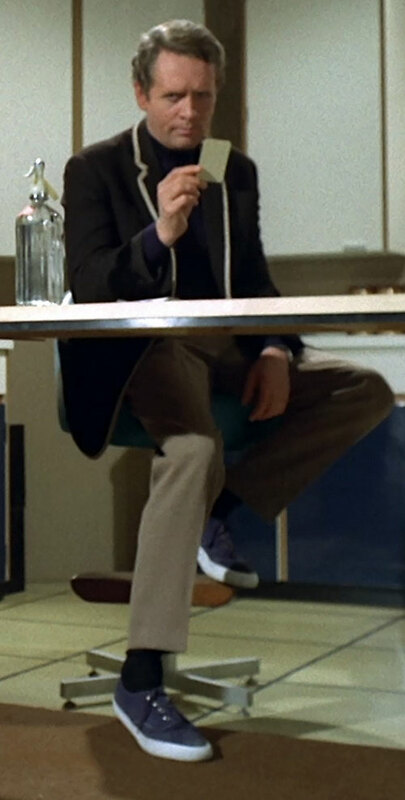 An experimental procedure combining drugs and the electronic implantation and reading of dream images was used on the Prisoner. For three nights, he was placed in dream scenarios involving three different people to whom he could have planned to sell information. It was hoped that the Prisoner’s dreams would thus reveal exactly to whom he planned to sell the information he had as well as precisely what that information was. Being who he was, the Prisoner found quite a few signs of what was happening and by the third day he had uncovered the entire scheme. He played along in the third night’s dream, making it appear that he was expected to meet some mysterious spymaster of whom the Village had no detailed knowledge. This spymaster was unmasked as the current No. 2. To No. 2’s dismay, the Prisoner’s dream-self informed No. 2 that he had only been planning on going on vacation after his resignation. Defection was not why he had resigned. His theory disproved, the demoralized No. 2 was forced to report failure to his masters (“A, B, and C”). Despite his initial failure, the current No. 2 was retained for a time to oversee another Village operation involving mental tampering. A new educational technique called speed learn was introduced to the Village, beaming months of academic knowledge into one’s mind in a matter of seconds via television. Speed learn relied on a computer called the General. The Prisoner became involved in a plot to foil this new form of indoctrination. The goal was to have it send out a message encouraging free thought rather than received wisdom. The Prisoner was caught before the message could be sent. Yet he managed to destroy the General and its creator by feeding it a question it could not answer (“The General”). One morning the Prisoner woke up to find himself with a mustache and a new number, No. 12. He went to meet No. 2, who greeted the Prisoner as a Village agent. According to No. 2, No. 12 had been recruited to mimic the “true” No. 6 in order to force No. 6 into a crisis of identity. It was hoped that eventually No. 6 would be forced to confess why he resigned to prove to himself that he was the “real” Prisoner. 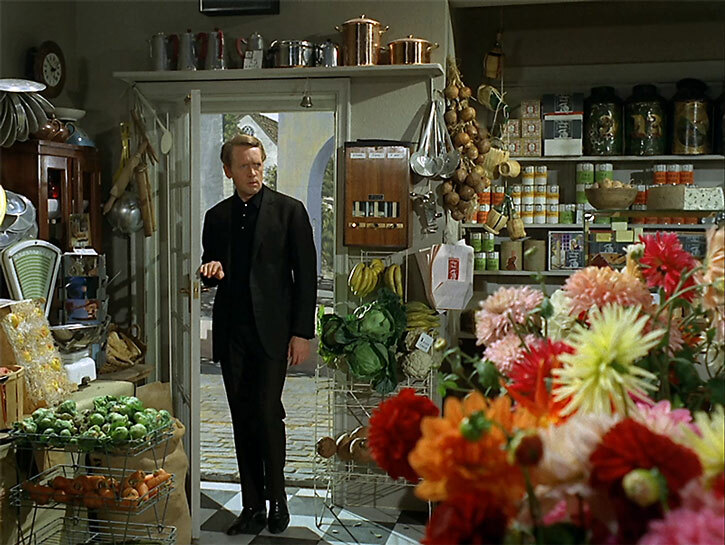 To the Prisoner’s dismay, all of his basic preferences (his favorite breakfast, his chosen brand of cigarettes, etc.) had changed and he was now left-handed instead of right-handed, which made him rather clumsy in areas at which he once enjoyed great proficiency (target shooting, fencing, etc.). Even worse, the other No. 6 did have all of the correct preferences and abilities. The Prisoner’s “twin” also had distinguishing features that the Prisoner should have had, but did not, such as a mole on his left arm. Struggling with this multitude of challenges to his identity, the Prisoner was under great stress until he found a clue that made him realize that he’d been “asleep” the previous evening for a great while longer than one night. This opened the floodgate to a torrent of memories, helping the Prisoner realize that all of the changes he had experienced were the result of a month of brainwashing. He broke his conditioning with a self-inflicted electrical shock and confronted his duplicate. He managed to defeat the duplicate and convinced the Village guardian Rover to kill the ersatz Prisoner. 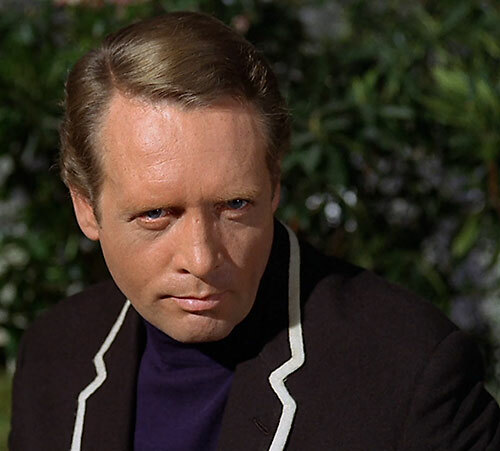 The Prisoner tried to use his doppelgänger’s identity to leave the Village, but accidentally gave himself away before he was able to escape (“The Schizoid Man”). Soon afterward the Prisoner woke up one day to find the Village deserted. Without anyone to hinder him, he constructed a makeshift boat and sailed away. After a long journey over sea and land, the Prisoner returned to London. Once there he informed his former superiors of the events surrounding his disappearance. The Prisoner had kept track of his journey away from the Village. Thus, he began assisting as an observer on overflights of the estimated location of the mysterious town. He finally spotted it, only to have the pilot give him the traditional Village salute (“Be seeing you”) and promptly eject him. The Prisoner’s parachute brought him back into the Village, which promptly sprung back to life. The lady who had moved into the Prisoner’s London apartment met him at his Village home, wearing a No. 2 badge. The lesson was clear: there was no escape (“Many Happy Returns”). The Prisoner’s next conflict with the Village caught him between two factions. On one side was a new No. 2 who sought to assassinate (for unknown reasons) the retiring No. 2. On the other side were Village Jammers. These were local residents who tried subtle means to subvert the Village system. The Jammers were tolerated because they were considered a harmless means to release rebellious impulses. (“It’s Your Funeral”). Eschewing the Village gym, the Prisoner had built a primitive exercise yard in the woods near the Village. Eventually, he was confronted by a couple of Village thugs during one of his morning workouts. After beating the thugs, he was turned in to the Committee (a Village group that dealt with inappropriate behavior) for being anti-social. After resisting repeated efforts to rehabilitate him (such as behavioral workshops), the Prisoner was judged to be Disharmonious and Unmutual and was subsequently shunned by everyone around him. Even this failed to break the Prisoner, so he was subjected to Social Conversion. He was beaten unconscious by Village citizens, dragged to the hospital, and given what seemed to be a lobotomy. In actuality, it was a faux operation combined with drugs to dull the Prisoner’s aggressive tendencies. Even in his drug-addled state, he was alert enough to notice his nurse was drugging his tea. At first he surreptitiously disposed of his tainted drinks. Then he arranged to switch drinks with his nurse without her knowledge. The discovery of the drugs and closer examination of the “lobotomy” scar made the truth of the operation evident. A second confrontation with the same thugs he’d fought earlier helped the Prisoner overcome the last of the drug’s effects much sooner than expected. Pretending to still be under the influence of the drugs, the Prisoner told No. 2 that he wanted to set an example for others by publicly confessing the reason for his resignation. The Village gathered…at which point the Prisoner’s speech was “unexpectedly” interrupted by the drugged nurse, whom the Prisoner had hypnotized to declare No. 2 Unmutual. No. 2 was hounded out of the Village by his own subjects (“A Change of Mind”). The latest No. 2 to take the post was a domineering bully. He drove one of the captives in the Village to suicide. The Prisoner tried to interfere, but was too late. No. 2 confronted the Prisoner, explaining his theory that one must be a hammer or an anvil and expressed his intention to be the one who broke the Prisoner. This same conversation also exposed No. 2’s fear of his masters. The Prisoner’s response was to engage in a series of mind games. These convinced No. 2 that there was a conspiracy against him. Turning No. 2’s own theory and his fear of the Village’s masters against him, the Prisoner eventually convinced No. 2 that the Village was a test of No. 2’s loyalty. “Unfortunately,” No. 2 had failed by trying to hinder the Prisoner, whom he had been led to believe was a Village agent code-named D6. Now a broken man, No. 2 accepted the Prisoner’s “order” to turn himself in to his masters (“Hammer into Anvil”). As the Prisoner approached the first anniversary of his incarceration by the Village, he was given his freedom, albeit in a rather unusual manner. The Village sought a Professor Jacob Seltzman, who had perfected a means of transferring minds between bodies. The Village had one of his prototype devices but also wanted his latest work and his personal expertise. The Village knew that the Prisoner had been the last person to speak to Seltzman before the professor’s disappearance. As a consequence, the prototype device was used to place the Prisoner’s mind in the body of a Village agent. The Prisoner was then planted back at his old London house. Realizing what had happened and knowing that only Seltzman could reverse the process, the Prisoner combined his knowledge of Seltzman with various clues that had been left behind. Thus, he managed to track the professor down. At this point another Village agent gassed the Prisoner and Seltzman both and brought them back to the Village. Seltzman agree to demonstrate his device by returning the Prisoner’s mind to his rightful body. This he did, but he simultaneously switched his own mind into the body of the Village agent. That Village agent’s mind perished with Seltzman’s aging body. Seltzman escaped the Village in the agent’s body (“Do Not Forsake Me Oh My Darling”). In the old west, a sheriff resembling the Prisoner turned in his badge and gun to the local Marshall. The Sheriff then walked away from town into the countryside. During his journey he was accosted by a group of thugs, who beat him unconscious and brought him to a town called Harmony. Harmony was run by the Judge, who asked the Sheriff what reasons he had for turning in his badge. The Sheriff’s response: “My reasons.” The Sheriff, declining the Judge’s offer of a job as sheriff of Harmony, tried to leave town. The locals were outraged that the Sheriff didn’t like their town. The Judge had the Sheriff placed in protective custody to avoid a lynching. A local saloon girl helped the Sheriff escape from custody. However, both of them were captured and brought before the Judge. There was no charge against the Sheriff since he was only being held in protective custody anyway. However, the saloon girl was charged with aiding the escape of a prisoner. This time, the Sheriff accepted the Judge’s job offer in exchange for the saloon girl’s freedom. However, the Sheriff still defied the Judge by refusing to wear a gun, only taking the badge. Though it was a struggle, the Sheriff was up to the challenge of keeping order whilst unarmed. The Judge had his goons increase the pressure on the Sheriff. Things finally came to a head when the Judge’s right-hand man (a gunfighter known as the Kid) killed the saloon girl who had helped the Sheriff. The Sheriff took off his badge, strapped on the guns, and took down the Kid. He proceeded to the saloon and gunned down the rest of the Judge’s goons before being fatally wounded by the Judge. The Sheriff went down…and arose as the Prisoner. He woke up in “Harmony,” a faux Old West town with cardboard stand-ups for people. All of it was just outside the Village proper. The Prisoner went to see No. 2…who had been the Judge. While the Prisoner was strong enough to go through the hallucinatory ordeal without cracking, the Village agents who played the Kid and the saloon girl were not so lucky. They returned to “Harmony” and both died re-enacting the fight they’d had during the Old West scenario (“Living in Harmony”). A storybook tale of the Prisoner’s spy days is shared with the Village’s children. The story is on one level a fanciful adventure and on another a parody of popular depictions of spy work. This story is monitored by No. 2, who is hoping that the Prisoner will let some of his secrets slip while regaling the children with bedtime stories of his adventures. Yet the only true revelation is how desperate the Village masters are becoming to learn what the Prisoner knows (“The Girl Who Was Death”). Given the amount of time that had passed without the Prisoner breaking, the masters of the Village were becoming impatient. An earlier No. 2 was brought back (the No. 2 from “The Chimes of Big Ben”) to administer Degree Absolute. Degree Absolute was a process where the subject was mentally reduced to childhood through chemical and psychological means. The subject was then brought back through the Ages of Man. In each Age, No. 2 would represent authority and No. 6 would be himself. They would replay various conflicts throughout the Prisoner’s life, trying to reform him into someone more amenable to the Village’s purposes. The process was called Degree Absolute because it was so intense that one of the subjects was certain to die. This No. 2 was willing to take that risk because he felt that a converted Prisoner would be an even better servant to the Village’s masters than he was. The Prisoner not only survived the process, he dominated it. No. 2 died, but the Prisoner remained himself. Nevertheless, the Prisoner was accepted into the inner circles of the Village (“Once Upon A Time”). After having his old civilian garb returned to him, the Prisoner met with a committee representing various social movements. He eventually was brought to a booster rocket hidden underneath the Village. The rocket was much like those used in American space launches and inside was No. 1. The Prisoner confronted the hooded figure of No. 1, revealing a gibbering ape underneath the hood. The ape mask was removed to reveal the Prisoner’s own face. The Prisoner chased No. 1 into the capsule at the top of the rocket. The rocket then took off. The Village was evacuated as the Prisoner and some newly recruited rebellious allies fought their way out of the Village. Emerging a few miles outside of London, the Prisoner returned to his London home. The front door ominously opened automatically, just as its replica did in the Village. He retrieved his Lotus sports car. 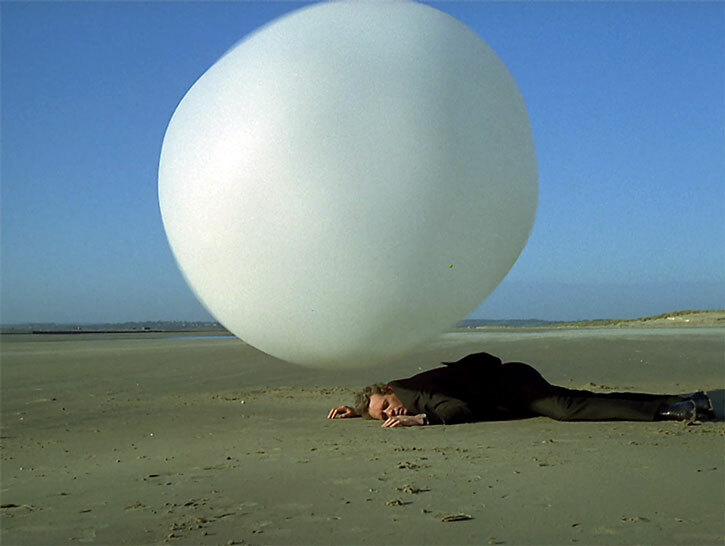 Thus, the series ended with the Prisoner traveling down the same road that he drove down to turn in his resignation, perhaps suggesting that while he has escaped the Village in a literal sense, he must still confront the same social forces in the world at large (“Fallout”).